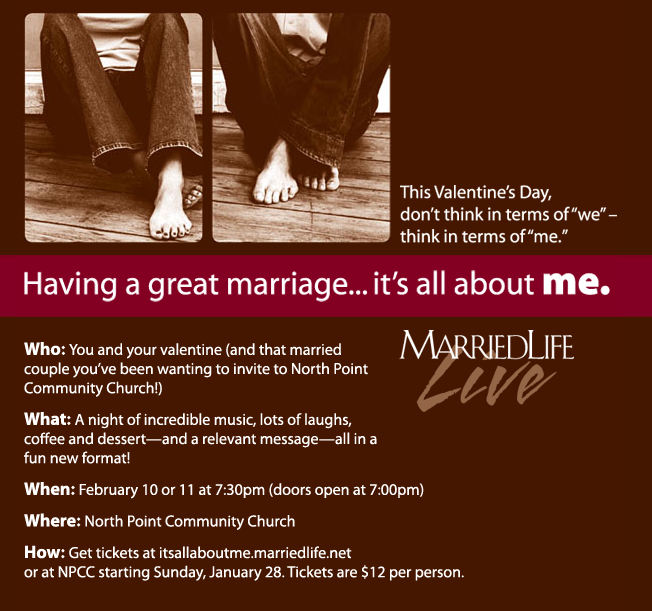 If you've never been to North Point, February 10-11 would be a good weekend to check it out. 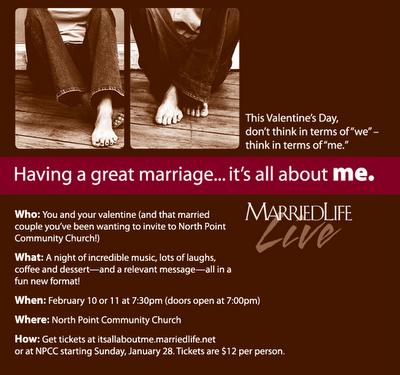 You could go to MarriedLife Live on Saturday, or Sunday evening and combine that with church on Sunday morning. It'd be a great weekend! Check it out and let me know how it goes!